I want to know where is the "link with Editor"? I'm not sure I understand completely your question. The Outline view is automatically synchronized with the selection of the diagram meaning if you select an EClass in the diagram, the corresponding element in the outline view will be selected. The "link with Editor" in the Model Explorer view on the other hand will reveal the diagram instance within the model hiearchy. If you are looking for a way to quickly find a given EClass in a diagram CTRL+O is way better than using the outline and you can access it even when using the tool in fullscreen. the OutLine view had a "link with Editor" button, with this button select the Eclass AND it show me the current Eclass automatically, imagine if you has a huge model where only select a EClass is not enough. 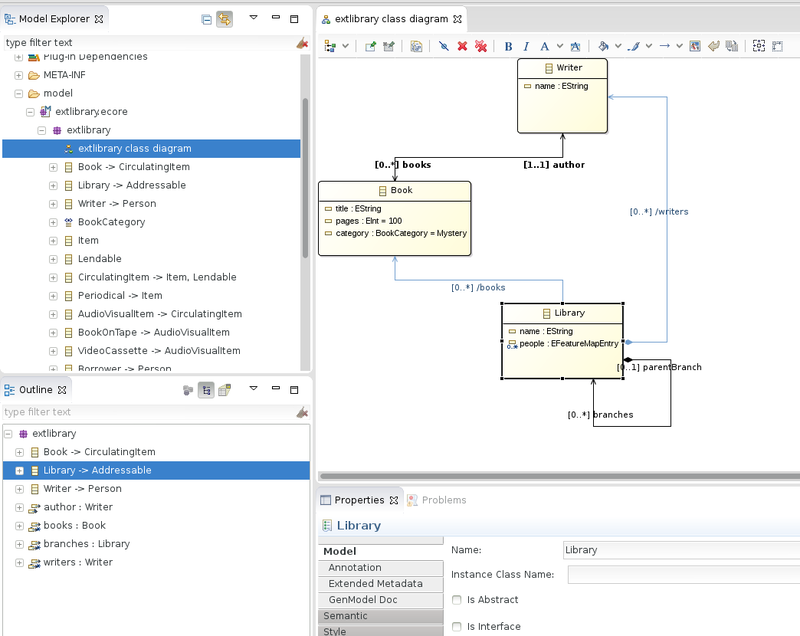 If i select a EClass in the Outine View then the diagram moves toward the EClass. You are right, when double-clicking on the element I would have expected Sirius to reveal it in the diagram. Right now it only selects the element. Currently i am building a large ecore diagram and i used your advice to quickly find a given EClass using CTRL+O and i noticed that Sirius reveals it in the diagram.